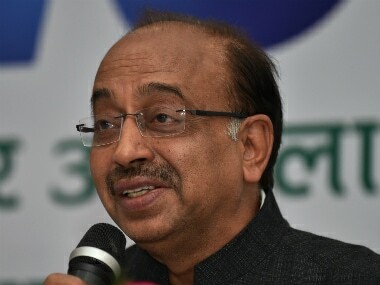 Vijay Goel is a dangerous politician. Not because he is corrupt. He isn't. Not because he lies. He doesn't. Not because of anything dramatically sinister. Rather, it is because this minister for Youth Affairs and Sports in India is doing what most politicians do irrespective of what government they are part of. He is chasing the popular vote based on sloganism and thinly developed views. It is easier than standing on strong policy or the greater good. This week, Goel stated that "cricket and terrorism can’t go hand-in-hand" as the reason why the Indian government will not honour the MoU that the BCCI signed with the PCB to resume bilateral competition. It is a boorish chant, and one that would only appeal to the uneducated, the extreme nationalist or those filled with hate. Unfortunately in a country like India, that's a lot of people. Goel's view is that Pakistan is somehow sponsoring terrorism in India and while that continues, there will be no cricket. Even if this stance is correct, which if you remove the propaganda is difficult to corroborate, then the position is still ridiculous. It assumes that the government of Pakistan is the one that is being punished by the lack of a bilateral series. Unfortunately, the truth is that the Indian cricket fan in the loser. The exact group that Goel represents. With a wider lense, Pakistan could choose to chant a similar mantra against India if it wanted to. It wasn't too far back that Indian Kulbhushan Jadav was convicted by a Pakistani court of being a spy and sponsoring terrorism. He isn't the only one. He probably won't be the last. The complete ridiculousness of the situation is further highlighted with Goel's comment that he cannot control the ICC in regards to drawing the two countries together at the Champions Trophy or other centrally organised events. Essentially, Goel is subserving his political ideology to a bunch of sports administrators based in Dubai. Is he saying that decisions of the ICC Board now outweigh those of the Indian parliament? Poorly thought through at best. Deliberately misleading at worst. History is full of examples of warring countries competing at a sporting level. The Olympic Games deals with this situation every four years. So too does the Fifa World Cup. Russian athletes have always played against American ones. Israel versus Arab nations. China versus the world. 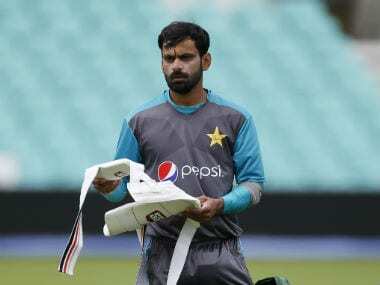 Where was the official outcry when Shoaib Malik married Sania Mirza? 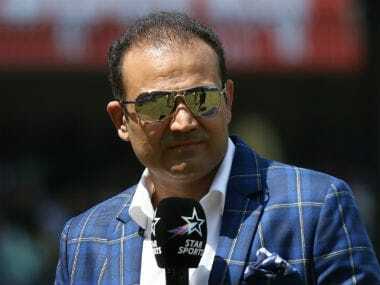 To allow India to take the field against Pakistan in the Champions Trophy but not bilaterally reeks of politicking to the lowest common denominator. Of a politician lacking proper morals. Of votes being more important than the goodwill of the people. Sport acts as the bridge that links people together. Sport has never started a war nor flamed one. However, it does hammer home that the general population prefer bonding events rather than separatist ones. Goel is acting as a landmine blowing up those bridges. Allowing India to play Pakistan will not result in increased terrorism. It will not send the message that terrorism is being condoned. There is no link to any of those matters. But it will help mend a broken relationship that appears mainly at governmental levels. Indian players don't hate the Pakistani players. The Indian people don't hate the Pakistani people. What both peoples love is cricket. And India versus Pakistan is the biggest show on earth. Unfortunately, some fella named Goel reckons that he knows best. But he doesn't. And it is time the Indian people told him so. So together, let's embrace the upcoming Champions Trophy clash. Because apparently, in Goel's world, this match doesn't support terrorism. It is only bilateral series that do. They are to be banned. Evil things. And if you believe or support that view, then your moral compass is broken.